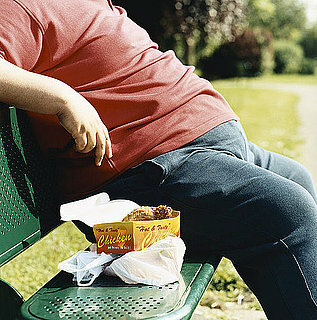 The public comes down hard on addicts, especially those who are obese, a study finds. Experts are pushing for overeating to be officially regarded as an addiction, but a new study suggests the “food addict” label could actually increase the social stigmas surrounding obesity. Researchers at Yale University surveyed over 600 adults about their thoughts and interactions with various groups who are often ostracized or judged—including smokers, drug addicts, mentally ill, and obese people. The findings suggest that the general public tends to show more sympathy for a food addict, compared to alcoholics or smokers. But the sympathy only extends so far. Survey-takers expressed harsher judgment towards obese food addicts than thin ones, suggesting that the public sees food addiction as an excuse to overeat, or a result of weak self-control. And these attitudes may be worsening the problem. A previous study found that social judgments can make it harder for overweight people to get in shape, since they are self-conscious about exercising or reaching out for help. Many experts hope classifying overeating as an addiction would help people seek adequate treatment, and change the way the public views food addicts. “When people say ‘It’s psychology. For God’s sake, rein it in. It’s just one cupcake,’ it demeans the entire experience of food addiction,” Dr. Pamela Peeke, bestselling author of The Hunger Fix, told The Fix in November. “That cookie triggers the entire domino effect in the rewards system. Your prefrontal cortex is so damaged that it can’t stand up to this hijacked rewards system and say ‘Wait a minute, what are we doing here?’"
What Is America's Hunger Fix?